When we return from the Easter holidays, our topic is going to be all about India! See what information books (non-fiction) you can find to discover lots of exciting and interesting facts about India. You could read non-fiction books, reports online, news reports, maps or even leaflets! Our topic this term is the 'Great Fire of London'. We have been reading lots of information books about the fire and have been looking at Samuel Pepys' Diary. Any non-fiction books about the Great Fire of London or any other topics, as we are looking at how we can find information. Diaries such as Dougal's Deep-Sea Diary by Simon Bartram, Diary of a Wimpy Kid by Jeff Kinney or any other diaries you can find! 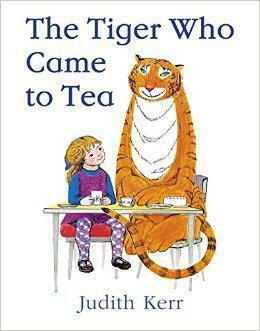 3.10.16 - Our recommended read this week is 'The Tiger Who Came to Tea' by Judith Kerr. We have really enjoyed reading this book during our English lessons and have learnt actions to help us retell it. See if you can read any other books by this author, such as the 'Mog' series. Have fun reading!